HP has appointed Mike Boyle as managing director of HP South Pacific, replacing Rob Mesaros who assumed a regional role in April. ARN can reveal that Boyle will be taking over from Paul Gracey, who has been running the vendor locally in an interim role since May. “Mike is an effective leader with broad leadership experience,” said Richard Bailey, president of Asia Pacific and Japan at HP, in an internal memo to partners seen by ARN. Boyle has spent over 20 years in the print industry, working in a variety of roles at HP and Canon, spanning multiple regions including Europe, Asia and South Pacific. “This global experience has given Mike exposure to a diverse set of operating environments and complex business models,” Bailey added. “During his three years at HP as the head of our Graphics Solutions Business, he has inspired and engaged his teams, and delivered consistent growth quarter after quarter. As reported by ARN, Mesaros announced his intention to leaving his local role in April, to take up a new position leading the tech giant's 3D Printing organisation for APJ. “As much as I am looking forward to this next challenge, the decision to move on from my role leading HP South Pacific was far from easy,” said Mesaros, in a blog post on LinkedIn at the time of his role change. 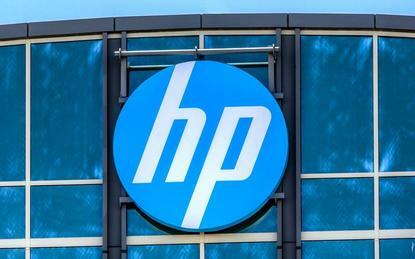 “The last six years at HP have been my most memorable.